I almost exclusively listen to Pandora radio and have little knowledge of pop culture, which means I am not the most hip mom with new singers or top ten songs on the charts–and I rarely know music on the radio as a result. So when a song I actually know well (i.e., I can sing along) started to play on the radio while driving with Princess Daisy recently, I was excited. The song we were listening to was “Home” by Phillip Phillips. Princess Daisy proceeded to tell me about the singer, and his career start last year on American Idol. What I learned during our conversation was Phillip’s conviction to stay true to himself throughout the season. Apparently, some of the judges encouraged him to be flashier in dress to help him succeed on the show. From what I understand, Phillip came out to perform the next week in clothes he was comfortable wearing–ignoring the judges’ recommendations. This young singer simply wanted to let his talent alone shine. 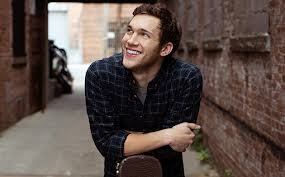 And shine he did; Phillips won that season’s American Idol show. At such a young age to be confident enough in himself is impressive, which I have continued to reinforce with the kids when we discuss Phillip Phillips. It’s a valuable lesson in life, and one I want to instill in my children. This newly-discovered information about how authentic Phillip Phillips is in living his life means I am even happier listening to this young man’s music. He impresses me, and is a great example for my kids. And if it was possible to like him more, I did when I read he enjoys the music of Dave Matthews band and Mumford & Sons (two of my top Pandora radio stations). Look at you, becoming Ms Pop Culture… first Katy Perry, now this dude I have never heard of!!! Ha! Hardly Ms. Pop Culture! My daughter is introducing me to new people though so I am not totally uncool. What a Doll Face! wow. I really is a great song–I love it! Thanks, Lisa! I hope you enjoyed the video. There is something about music that fills my soul! Thanks for sharing this! I am glad I can be the hip one in our friendship and share this vital information! As for his first name, I can help you out. He’s Jr, so his dad has the same, redundant name. I think I would have broken with tradition and named him something else, though. Nice post, but what is this “American Idol” of which you speak? If it’s related to Billy Idol, I’m there. Sadly, it’s not. And I don’t recommend learning about it. I don’t watch anything other than MLB, but some of the TV culture seeps in through the children.